By developing a drip email campaign you establish ongoing relationships with prospective buyers, you build their trust in your brand, products and services. But, as with every other relationship, you have to be there for them — how, when and where they want you to be. That means first providing them with relevant information, and then responding to their communications in a timely manner. For a small or start-up business, keeping your brand at the top of customers’ minds is relatively doable through the unaided efforts of your salespeople. However, as you scale up, nurturing leads on a one-to-one basis will become impossible. This is where email can save your day … and your sale. You may have read that email marketing is so over. What they were really saying is that broadcast emails (the equivalent of delivering a flyer to every house) are not so effective. However, targeted email is still one of the best ways to reach your audience. Also known as automated, lifecycle and autoresponder email, it’s the fastest, easiest way to conduct an email campaign. Once the emails are written and designed, they go into a queue which sends them out automatically on a schedule you set in advance. Drip email allow your sales team to consistently nurture hundreds of leads, instead of maybe a couple of dozen. Step 1: Develop a schedule. Decide whether you want to send an email every so many days, at specified stages in the sales funnel, or in response to a trigger. Step 2: Target the message and design. When the content is relevant to their needs, people reading your emails are more likely to respond. Segment your lead list according to their interest in specific products and services, and customize your emails further with their name, company, purchase history, which previous emails they’ve opened, etc. And ALWAYS include a call to action. What’s their next step into the sales funnel: visit your website, email you, call you? Don’t assume they know what to do. Tell them! Step 3: Make it 2-way. Nurturing a lead means listening as well as talking. Build a response method into your emails: your phone number, a link to your email address or website landing page, or simply ask them to reply to the email. What they tell you should be incorporated in the next stage of your drip campaign. Step 4: Connect it to your other marketing channels. A fantastic way to increase response rates is to leverage your emails on other platforms. In fact, doing so can extend the email’s reach by 77% (Salesforce Marketing Cloud & FaceBook Marketing Science). Step 5: See how you’re doing. You’ll never know whether your drip email campaign is meeting its goals unless you track it. Analytics can also be automated to a great extent; you simply plug in the relevant metrics, such as click-through rate, contact requests or conversions. Google Analytics is an excellent tool for identifying behaviors and characteristics of people who click through to your website from the email. If the campaign isn’t performing as expected, consider making adjustments to the content, mailing list or delivery timing. The pros at ACS stand ready to help you with every aspect of your campaign, from powerful message crafting to intensive analysis. 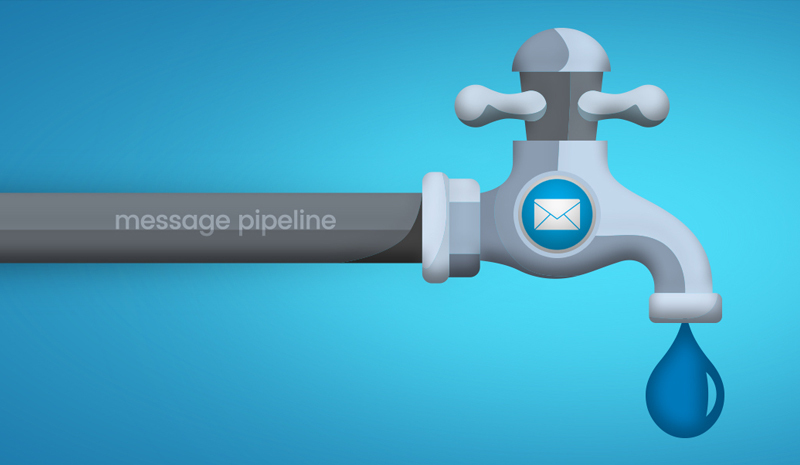 Find out how drip email could work for your business.